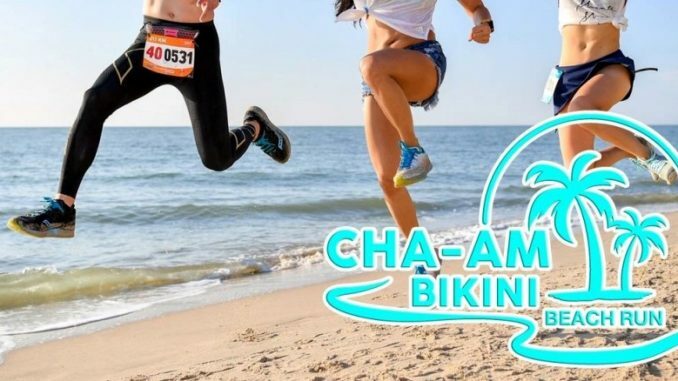 The 12th Cha Am Bikini Beach Run 2019 will be held on Sunday 17 March 2019. 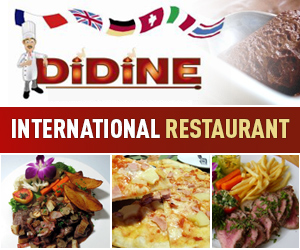 Three distances can be chosen and there are age groups, so everyone can join. FUN RUN 5 km (on the road 3.5 km + on the beach 1.5 km). Start Time 6 AM, Entry Fee 450 Baht. Non competitive. MINI MARATHON and BIKINI RUN 10.5 km (on the road 9 km + on the beach 1.5 km). Start Time 6 AM, Entry Fee 500 Baht. HALF MARATHON 21.1 km (on the road 19.6 km + on the beach 1.5 km). Start Time 5 AM, Entry Fee 800 Baht. 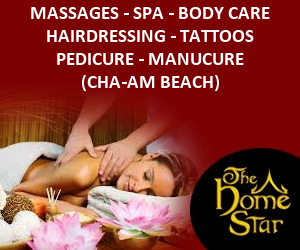 The starting point is on the beach road, opposite Long Beach Cha Am Hotel, and the finishing line is at the same place but on the beach. 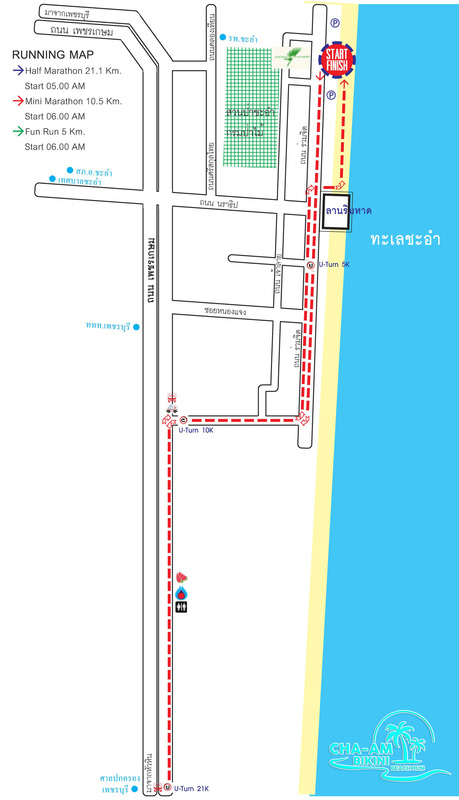 The Fun Run route goes until Cha-am soi South 5 and makes a U-turn. The Mini Marathon route goes until the Grand Pacific hotel, turns right and makes a U-turn just before Phetchkasem road. The Half Marathon goes as far as the Phetchaburi court (after Thai Watsadu) and then back to the beach.